Highland Basement Waterproofing warrants the areas waterproofed to be free from water leakage for the FULL LIFE OF THE STRUCTURE regardless of ownership. Our warranty transfers to each new owner at no charge! We can offer a warranty like this because our system permanently solves the problem of a leaking basement. Highland Waterproofing is family owned and operated. We have provided 100% commitment to service and customer satisfaction in Louisville and the surrounding counties since 1987. Our installation staff is professionally trained and are employees of Highland Waterproofing, Inc. We do not use sub-contractors. We are proud members of The Better Business Bureau and the Home Builders Association. 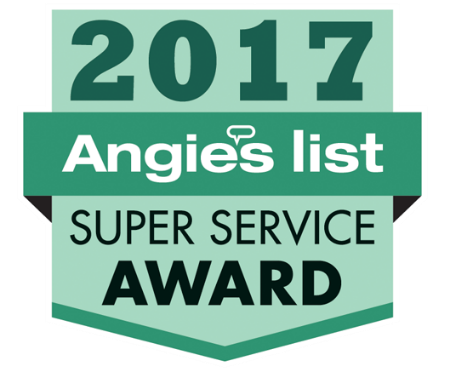 We strive to maintain our A+ rating with the Better Business Bureau through excellent customer service and we are proud to have earned the prestigious Angie’s List Super Service Awards multiple times, the only local waterproofing company to have done so. We have many references from happy customers and are pleased to provide those to you upon request. Fully licensed and insured, we treat your home like ours. My neighbor was happy with their work and I thought their concrete work was very good. I saw work from another contractor at a friends house and the concrete was not very good. This was very important to me as I move forward in redoing the basement floor. We have had a dry basement for the last ten years since the waterproofing was completed. I appreciated the attention to detail and effort to keep all the dust from getting into the upper levels of the home. Not only was the work completed as promised the clean up was better than expected. I would recommend Highland to anyone discussing basement waterproofing needs. They suggested that the downspouts should be directed differently with new extensions and they also warned me that the electrical connection to the pump was problematic. They were courteous, professional and provided advise that was pertinent. They could have suggested expensive changes, but did not. I was impressed with their advise. First class in every way and would definitely recommend them, came with three workers and two trucks, removed all dirt and excess material from job site. Also put pebbles in window well, Mike, their representative, was courteous and easy to deal with when he came over and did my estimate. EXCELLENT!! PERFECT. After 6 years, we have not had ANY evidence of water in our basement living space - and there have been significant rain levels where i am sure there would have been leaking and flooding had i not had Highland do the waterproofing. The job was done right, very quickly, and for less than i thought it was going to cost, to be honest. A complete basement perimeter drain was a somewhat drastic project but as they told us 6 years ago, it is the ONLY way to solve the problem. i'm pretty sure they were right. in addition to the perimeter drain, they also installed rigid plastic sheeting on the wall in 3 areas where there seemed to be some slight cracking. if water entered from those cracks, it is directed behind the plastic directly into the perimeter drain. all the material was removed from the basement through a small basement window - not up the stairs and through the main house. after several years we were so confident that our wet, leaking, and flooding basement days were over that we had the basement remodeled - and that has added so much to our lives - having a nice, warm, dry place to enjoy our grandchildren. i can't encourage others enough to consider using Highland Waterproofing to fix your leaky basement the right way, once and for all. FREE estimates available for any residential or commercial waterproofing project. We have picked the most frequently asked questions and tried to lay them out in a user friendly environment. If you have questions that are not answered on this page, please feel free to reach out to us at your convenience using our online contact form or call the office at (502) 451-8802. No. Nor do we feel that you should do business with anyone who does. Homeowners are never charged for an estimate consultation. We insist on absolute honesty and integrity. If you don't need our services we'll be the first to tell you. If you are in need of our services, we'll tell you precisely what we propose to do, how we do it, when we'll do it and the exact cost out of our standard pricing manual. There are no hidden costs. The price we quote is the price you pay. No. The logic of our basement waterproofing system is simple. To fully appreciate it, however, you need to understand what is causing your basement to leak. Ask questions until you fully understand. Not necessarily. Occasional leakage may be caused by a combination of weather conditions and poor drainage around your house. If you have water in your basement after taking ordinary precautions, then it's probably time for you to call us. A wet basement left unattended may cause considerable structural damage over a period of time. Of course, any type of basement water problem impacts very unfavorably upon the value of your home, to say nothing of its livability. Our 31 years of experience indicates that most small water problems progressively worsen. It simply isn't effective. We would not do it under any circumstances and neither should you. Fortunately, this unsuccessful method is rarely used today. The waterproofers that use this method install a corrugated drain tile "Where Accessible" Sounds good, unless you have a driveway, deck or front porch. Hey folks, you have to use some common sense when comparing systems. Every waterproofing company should be concerned with the footer drains. A good salesperson can sell you on the idea, but it isn't effective at all. Nothing! We don't play price games. We use a standardized price list. We encourage you to help our consultant arrive at the price when he visits your home. Our promise of honesty and integrity is much more than just empty words. We will provide you with a permanently dry basement for the life of the structure....all at a competitive price. Positively! If you sell your house, you can offer a clean, dry basement guaranteed for the life of the structure regardless of ownership. Money spent for a permanently dry basement will pay off in an immediate increase in the market value of your home greater than the money spent. The large investment in a home dictates that you protect your investment. It also makes sense to utilize the square footage of your basement. It's the least expensive area for you to improve.